GREY, Zane (1872-1939). American author, best known for his popular adventure stories. His book: “The Last Of The Plainsmen”. The Outing Publishing Company, 1908, first edition, illustrated, three hundred-fourteen pages. Twenty-three B&W photos by the author and one additional B&W drawing. Gilt stamped, light green pictorial cloth. 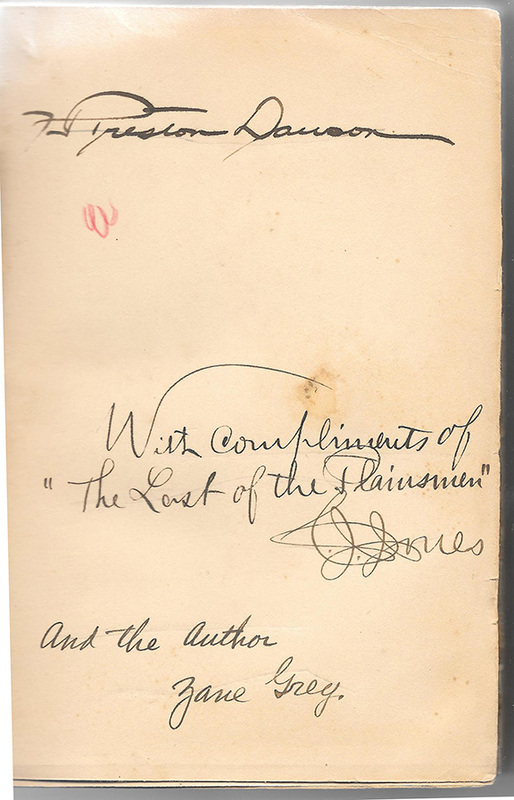 Fine ink sentiment by the subject of the book: “with compliments of The Last of the Plainsmen C.J. Jones”. 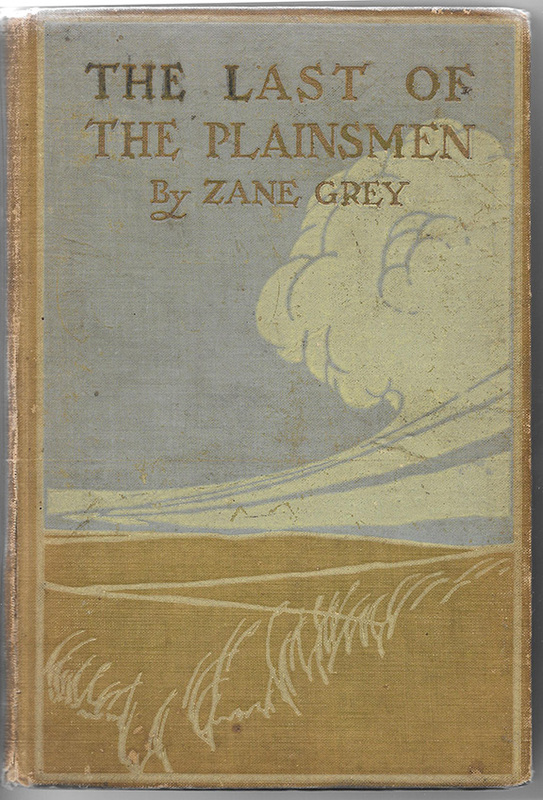 Below is a sentiment signed by the author: “and the author Zane Grey”.